Just a post to share a photo of St. Andrew’s Kirk. This church site on the corner of Avenue of the Republic and Brickdam; to the south of it, across Brickdam, sits our Parliament Buildings; to the east of it, Avenue of the Republic, sits the Magistrates’ Courts. It is reputedly the oldest religious building still in use in Georgetown. 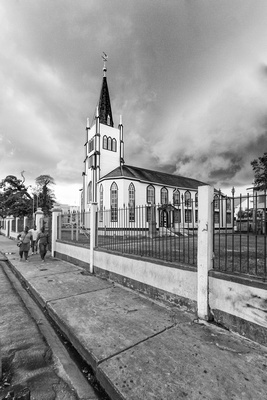 St Andrew’s Kirk, Georgetown, Guyana.